America has discovered a new financial guru. Tony Robbins' new book on investing, MONEY Master the Game: 7 Simple Steps to Financial Freedom, has shot to the top of Amazon's bestseller list. Mr. Robbins, who has been nicknamed the "mahatma of motivation," excels at self-promotion. The publication of his book has generated immense publicity, including a particularly fawning interview with financial pundit James Altucher. Mr. Altucher and his wife posed for a photograph with an ebullient Mr. Robbins on the beach at Mr. Robbins' home in Florida. Based upon pre-publication reports, it was my understanding Mr. Robbins' book exposed the conflicts of interest that brokers and insurance companies have with their clients. He also reportedly advocated that a fiduciary standard should be applied to everyone who provides investment advice. I support these views and endorsed them in a blog I authored. I expressed skepticism, however, about the lack of scientific support for some of Mr. Robbins' self-help theories. Financial journalists who drilled into the merits of the financial advice proffered by Mr. Robbins have skewered his investing recommendations. Barry Ritholtz noted there were significant differences between the Ray Dalio "All Weather" portfolio touted in the book and the actual portfolios used by Dalio. He also believes Mr. Robbins' portfolio is over-weighted in bonds, and that back-testing this portfolio after the "greatest bond bull market in history" may be misleading. Ritholtz is also concerned with the 15 percent allocation to gold and commodities in Robbins' portfolio, noting that commodities have historically had a negative real rate of return. Others correctly criticized the overblown claims in the blurbs on the back cover. They promise a "never-before-revealed investment strategy" and a guaranteed way for investors to "participate in market gains" but "never lose when the market drops." Cullen Roche, author of a blog called Pragmatic Capitalism, believes Mr. Robbins' bond-heavy portfolio with a commodity tilt will generate "sub-optimal returns going forward." For years now, many financial journalists have advocated a globally diversified portfolio of low management fee index funds. You can find details about these strategies in my Smartest series of books, and in books by John Bogle, Rick Ferri, Allan Roth and my colleague, Larry Swedroe. Our books are based on sound, peer-reviewed research. None of us claim the ability to guarantee outsized returns without comparable risk -- and for good reason. You can find my perspective on intelligent, responsible, evidence-based investing here. Mr. Robbins' newfound success in the financial arena represents the leveraging of his cult-like status as a life coach. His official webpage is certainly impressive, and hardly an exercise in self-restraint. He indicates that he has consulted with members of two royal families, members of the U.S. Congress and three U.S. presidents, not to mention other international leaders. He describes himself as a "world authority on leadership psychology," a "peace negotiator and humanitarian," a "strategic advisor to world leaders," a "successful entrepreneur and honored business strategist," a "philanthropist," an "award-winning speaker," and an "innovator in psychology and intervention," among other accolades. Whew! Dr. Steven Novella questions Mr. Robbins' self-help theories. And he has some impressive credentials. Dr. Novella is an academic neurologist at the Yale University School of Medicine and the president and co-founder of the New England Skeptical Society. According to Dr. Novella, Mr. Robbins "is a successful self-help guru with a schtick that depends upon the scientific illiteracy of his audience." He dismisses sessions in which Mr. Robbins tells people how to "unleash the power within" by walking barefoot over hot burning coals while thinking about cool moss as "nonsense." He notes it is the laws of physics that protect your feet, and not "the ramblings of a self-help guru." Dr. Novella believes life coaching and self-help programs are generally not evidence-based "in any meaningful way." He rejects the notion that just spending time thinking about your life and your goals without direction can affect any real change. He believes most of the advice disseminated by self-help gurus is "not only improvised, it's largely wrong." Dr. Novella believes the big sellers in the self-help industry seem to be completely disconnected from scientific evidence. Others have questioned the relentless focus on the power of simplistic, positive thinking that constitutes the premise for many self-help fixes. Barbara Ehrenreich wrote a book on this subject, entitled Bright-Sided: How the Relentless Promotion of Positive Thinking has Undermined America. If you accept Dr. Novella's view that what Mr. Robbins and many others in the self-help industry are trying to sell you are simply "made-up easy answers, personality, and gimmicks," you should view his newfound status as the latest financial guru with even greater skepticism. Dan Solin is the director of investor advocacy for the BAM ALLIANCE and a wealth adviser with Buckingham. He is a New York Times best-selling author of the Smartest series of books. 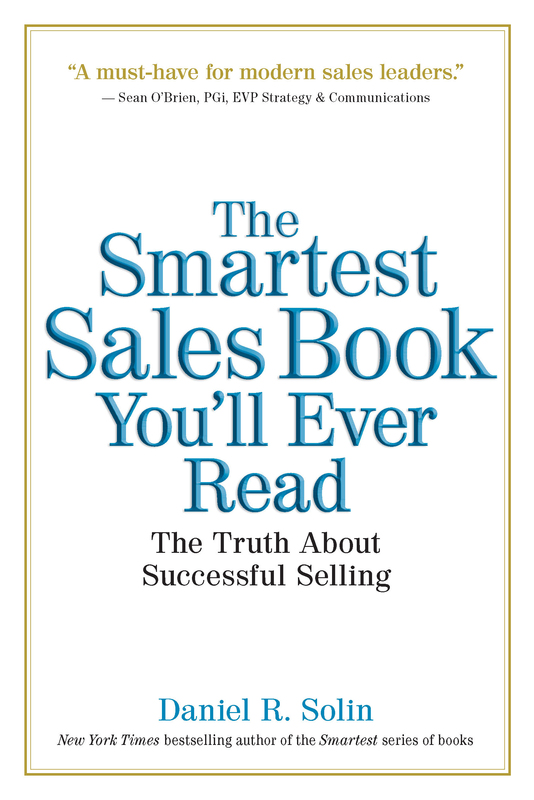 His latest book is The Smartest Sales Book You'll Ever Read. The views of the author are his alone and may not represent the views of his affiliated firms. Any data, information and content on this blog is for information purposes only and should not be construed as an offer of advisery services.